Nepal's climate varies with its topography and altitude. It ranges from the tropical to the arctic. The low-land Terai region with its maximum altitude to approximately 305m, which lies in the tropical southern part of the country, for instance, has a hot and humid climate that can rise above 45 Degree Celsius (113 Degree Fahrenheit) during summer. The mid-land regions are pleasant almost all the year round, although winter nights are cool. The northern mountain region, around an altitude above 3,300m has an alpine climate with considerably lower temperature in winter as can be expected. 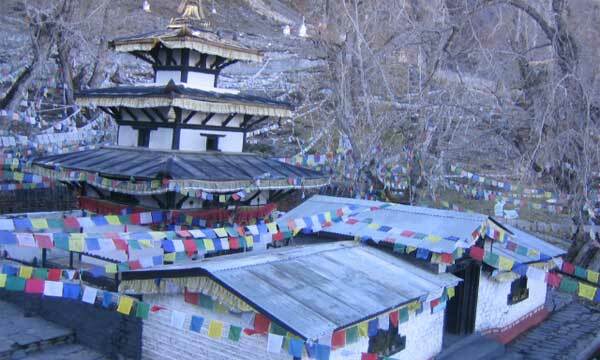 Followings weather information will clarify more about favorable months to visit Muktinath Temple. This is the peak season in Nepal, neither too cold nor too hot. 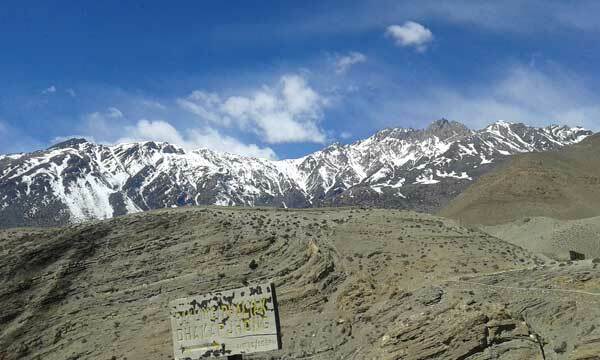 The monsoon rain washed away the pollution and dust, making the weather clear and dry offering the excellent views of wonderful snowcapped mountains in the blue sky. So, September to November is the best time to visit Muktinath Temple in Nepal. The trekking trails will be full of trekkers. Muktinath tour will be a worthful and easy during these months. The second premium trekking season in Nepal. The temperature is quite moderates, especially the rhododendrons (National flower of Nepal) are in complete blossom and the mountain views are excellent. This season is also favorable to visit Muktinath at Mustang. This is the most preferable season to trek in the rain shadow areas like upper Mustang, around Annapurna, Upper Manang, Manaslu and Upper Dolpo etc. these regions are out of reach of the rain clouds because of the huge mountains, and unaffected by the monsoon. This season is also good for forest researchers and botanist, during this time for trek raincoat and insect repellents are strictly required. Since this is the raining season, Muktinath tour by road will be tough. Landslides on the way might be the big obstacle to reach at the temple. Also, Pokhara to Jomsom flights usually get cancelled due to bad weather. This is winter in Nepal will be cold for high mountain trekking but still suitable time for trekking and hiking at lower altitudes normally below 3500m. Mostly Muktinath region will be covered by snow in these months. Muktinath tour by helicopter might be the best option to have a darshan of Muktinath during these months.